The Items on this page date from the mid 1970's and are some of the finer items to have in a Bricklin SV-1 Collection. 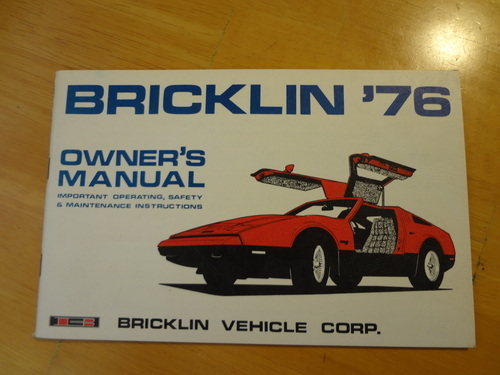 Unlike the 1974 and 1975 Bricklin Owner's Manuals, the 1976 Bricklin SV-1 Owner's Manuals had a completely different look. The '76 Manuals were done in red, white, and blue. 1976 was the year of the United States / American Bicentennial. 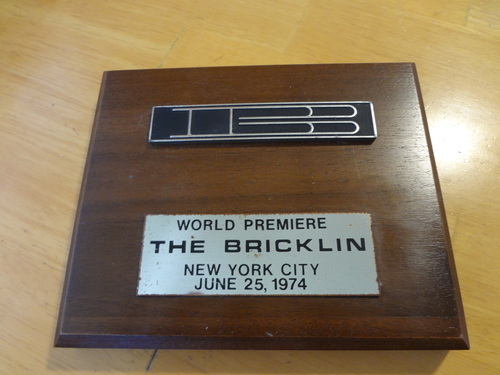 These were given out at the Bricklin SV-1 World Premiere, at The Four Seasons Restaurant, New York City, June 25, 1974. 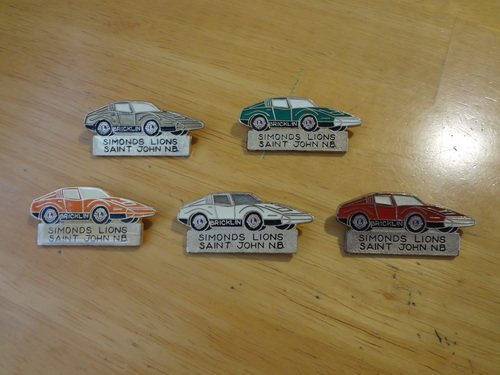 Bricklin Simonds Lions Club pins, Saint John, New Brunswick. Available in the 5 different Bricklin colors.